CHRISTCHURCH, New Zealand – Mass shootings at two mosques full of worshipers attending Friday prayers killed 49 people on what the prime minister called "one of New Zealand's darkest days", as the authorities they accused one person, arrested three other people and defused explosive devices in what appeared to be a carefully planned attack. Prime Minister Jacinda Ardern said that the events in Christchurch represented "an act of extraordinary and unprecedented violence" and acknowledged that many of those affected could be migrants and refugees. In addition to the dead, the authorities said at least 48 people were injured and were treated for gunshot wounds. The police arrested three men and a woman after the shootings, which shocked people across the nation with 5 million people. The authorities did not elaborate who they detained. But a man who claimed responsibility for the shootings left a 74-page anti-immigrant manifesto in which he explained who he was and his reasoning for his actions. He said he was a 28-year-old Australian. Australian Prime Minister Scott Morrison confirmed that one of the four people arrested was an Australian citizen. Ardern at a press conference alluded to anti-immigrant sentiment as a possible reason, saying that while many people affected by the shootings may be migrants or refugees "they chose to make New Zealand their home, and it is their home. us, the person who perpetuated this violence against us is not. " Police Commissioner Mike Bush said police were not aware of other suspects than the four who were detained but could not be certain. "The attackers were stopped by local police personnel and there were some acts of absolute courage," Bush said. "I am extremely proud of our police staff, of the way they responded to this, but we do not assume that the danger has disappeared." Bush said that the defense forces had defused a number of improvised explosive devices attached to vehicles stopped after the attacks. He said that anyone thinking of going to a mosque anywhere in New Zealand on Friday should stay put. It remains a police presence in many scenes in Christchurch. The most deadly attack occurred at the Masjid Al Noor mosque in central Christchurch around 1:45 pm. Arden said 30 people were killed there. Witness Len Peneha said he saw a man dressed in black entering the mosque and then hearing dozens of shots, followed by people fleeing the terrified mosque. Peneha, who lives near the mosque, said the bandit escaped from the mosque, abandoned what appeared to be a semi-automatic weapon in his driveway, and fled. Peneha said he then went to the mosque to try to help. "I saw dead people everywhere: there were three in the corridor, on the door leading to the mosque and people inside the mosque," he said. "It's incredible, nutty, I don't understand how anyone can do this to these people, to anyone. It's ridiculous." He said he had helped about five people recover from his home. He said one was slightly injured. He said the gunman was white and wore a helmet with a kind of device on top, giving him a military look. A video apparently streaming from the shooter shows the attack horribly. The gunslinger spends more than two minutes inside the mosque, continuously and repeatedly spraying the terrified faithful, sometimes shooting at the people he has already killed. Then he walks out into the street, where he shoots people on the sidewalk. The screams of children can be heard in the distance as he returns to his car to take another rifle. The assassin returns to the mosque, where there are at least two dozen people lying on the ground. After coming back out and shooting a woman, he returned to his car, where the song "Fire" by the British rock band "The Crazy World of Arthur Brown" can be heard from the speakers. The singer says "I'm the god of hell!" and the bandit goes away. The video stops. There was a second shot at the Linwood Masjid Mosque that Ardern said killed 10 people. Mark Nichols told the New Zealand Herald that he had heard of five shots fired and that a Friday-goer fired back with a rifle or rifle. Nichols said he saw two injured men being carried on a stretcher in front of his car shop and that both people seemed alive. The man who claimed responsibility for the shooting said he came to New Zealand just to plan and train for the attack. He said he was not a member of any organization, but he donated and interacted with many nationalist groups, although he acted alone and no group ordered the attack. He said the mosques of Christchurch and Linwood would be the targets, as would a third mosque in the city of Ashburton if he could make it. He said he chose New Zealand because of his position, to show that even the most remote parts of the world were not exempt from "mass immigration". New Zealand is generally considered a welcoming country for immigrants and refugees. Last year, the prime minister announced that the country would increase its annual refugee quota from 1,000 to 1,500 starting in 2020. Ardern, whose party promised to increase the recruitment of refugees, has nicknamed the expected increase "the right thing to do". A cricket match between New Zealand and Bangladesh scheduled to begin Saturday was canceled after the Bangladesh cricket team had a limited escape. 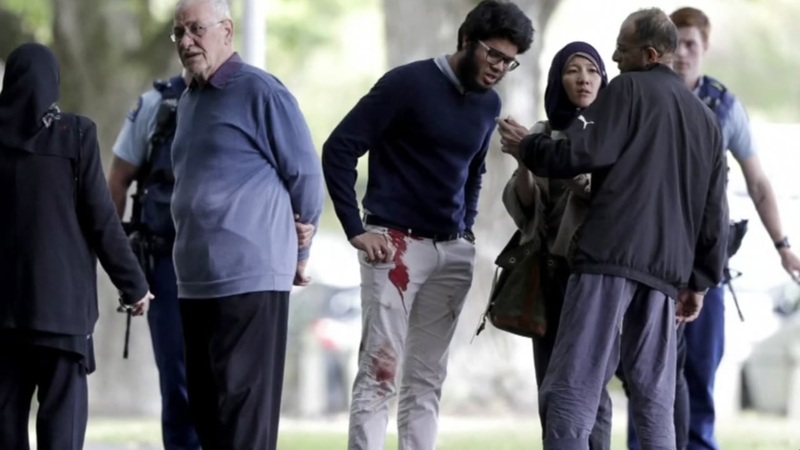 Reportedly, players and members of the team's technical staff were on their bus, approaching the Masjid Al Noor mosque in Hagley Park when the shooting broke out. Batsman Tamim Iqbal tweeted "the entire team was saved by active shooters." Terrifying experience and please keep us in your prayers. " The mass shootings in New Zealand are extremely rare, the most lethal in modern history occurred in the town of Aramoana in 1990 when bandit David Gray shot and killed 13 people following a dispute with a neighbor.